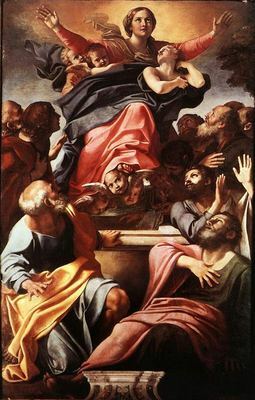 Author name: Annibale Carracci. Also known as Annibale Carrache. (1560, Bologna, Italy – 1609, Roma, Italy). In the early 1580s he with brothers opened a private teaching academy, which soon became a center for progressive art. He went Rome in 1595. He first decorated a small room called the Camerino with stories of Hercules. In his last years Annibale was overcome by melancholia and gave up painting almost entirely after 1606. When he died he was buried accordingly to his wished near Raphael in the Pantheon.